As more and more Filipinos are becoming more aware and wiser when it comes to investing their money, it is a good news that stock trading is becoming more easier too and within reach even for Filipinos who are overseas. 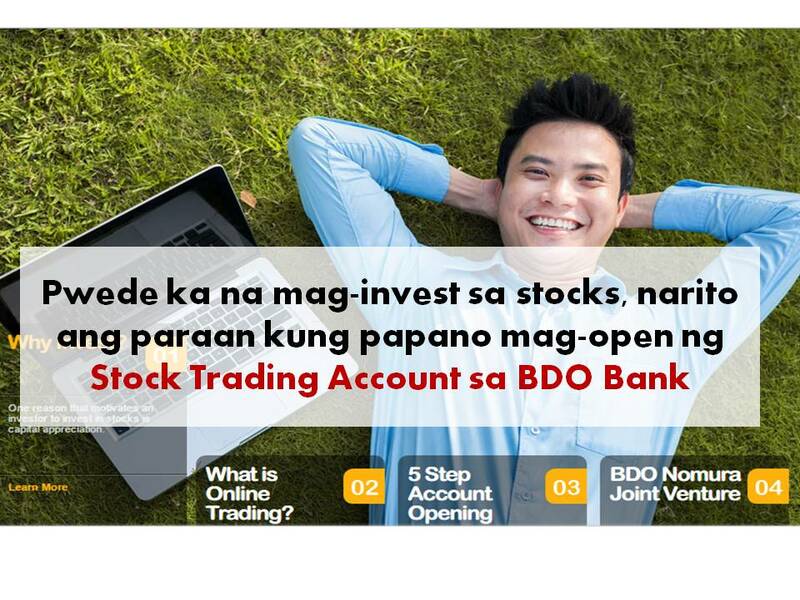 Currently, there are several trading platforms in the Philippines like Col Financial, BPI Trade and if you are banking in BDO, you might want to consider opening Stock Trading Account called BDO NOMURA. How To Open For BDO NOMURA Account? In order to open BDO trading account, it is important to register for online banking. It is easier to fund your trading account and withdraw money from it this way. Follow the steps bellow to register for a BDO Nomura Account. Enter the One-Time Password (OTP) received via SMS. 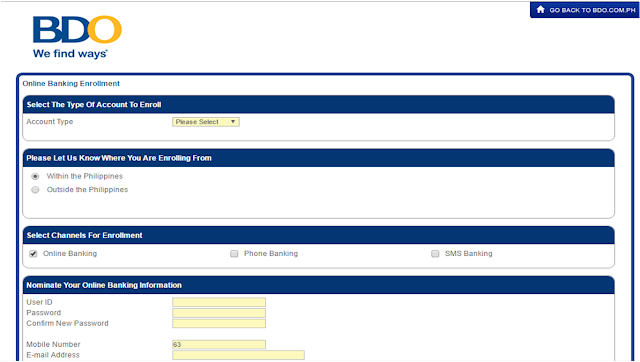 Select from the drop down list to nominate a Beneficiary Account (for withdrawal process) then click NEXT. Click on “I Agree” in the Terms and Conditions. Fill out the Investor Profile, then click NEXT. Fill out the Suitability Form, then click NEXT. Re-type the CAPTCHA code, then click Submit. REVIEW the details of your Investor Profile and Suitability Form shown in the summary screen. After review, click Confirm to submit your application. A “Thank You” notification will appear to confirm a successful application. Cut-off for processing of New Applications is 3:00PM. Online Application submitted beyond cut off shall be processed on the next banking day. Once approved, please expect to receive an Approval email indicating your Customer Code. Company Name: BDO Nomura Securities, Inc.
You may fund your account on or before 10:00 P.M. to be included for the next trading day's buying power. To open an Online Trading Account today, click the yellow Enroll Now button. Once your application is approved, you will receive an email confirmation indicating your trading PIN. 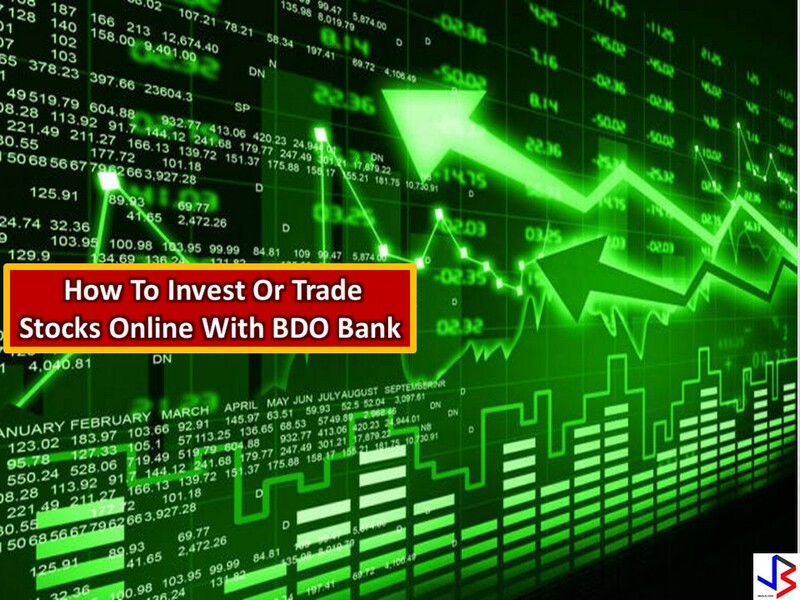 An initial deposit is to be made to BDO Nomura Securities, Inc. (Formerly: PCIB Securities, Inc.) As long as you are able to meet the cut-off time for deposit which is 11:00 P.M., your account will be funded the following day and you may start trading. Once you have registered for BDO Nomura or Stock Trading, you needed to fund your account before you can start trading or investing in stocks.
" You may fund your account through the Bills Payment Facility (over-the-counter, online banking, mobile banking, ATM). You may fund your account on or before 10:00 P.M. to be included for the next trading day's buying power." How do I withdraw funds from my Online Trading account? You may send a withdrawal request to bnsupport@bdonomura.com.ph. A withdrawal request form will be sent to you. Kindly fill it out, affix your signature and submit to BDO Nomura Securities, Inc. (Formerly: PCIB Securities, Inc.) at 17/F BDO-Equitable Tower, 8751 Paseo de Roxas, Makati City or any BDO branch. The withdrawn amount will then be credited to your nominated beneficiary account. Are There Dividends On Stocks I Purchased?